Mastaplast Plastering Services - Plasterer based in Burton-on-Trent, Staffordshire. 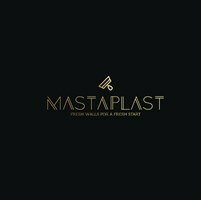 My name is Declan and im the owner of MastaPlast Plastering Services. I have been in the trade for over 10 years and have a very good knowledge of the building trade across the board. We offer the services of Skimming, Dry lining, Stud work, Boarding, Rendering. Our quotes are free of charge but as you can appreciate we might not be able to get to you right away but we aim to get to you within 48 hours.